Every year, numerous people are seriously injured in truck accidents. Among the most damaging are truck rollover accidents. While all vehicles are capable of rolling over, studies have shown that certain designs make some SUVs, vans, and trucks more prone to rollovers than others. When it comes to trucks, the greatest offenders include the Ford F-150, Chevrolet pick-up trucks, and Nissan pick-up trucks. If you or a loved one was injured in a truck rollover accident, the Willis Law Firm may be able to help you pursue the compensation you need. Truck rollover injuries can be devastating, causing long term health problems and costing thousands of dollars in medical bills. For more information on your legal options, contact us today at 800-883-9858. Certain design features are capable of contributing to the likelihood of a rollover or the likelihood of serious injury in the event of a rollover. Top heaviness – the high center of gravity on trucks like the Ford F-150 make it easier for a truck to flip when a driver over corrects their steering or makes a sudden maneuver to avoid an accident. Weak roof structure – Weak roof supports have been shown to causes the most serious injuries in truck rollovers. When a roof crushes in due to weak supports, it may cause severe head and neck injuries. 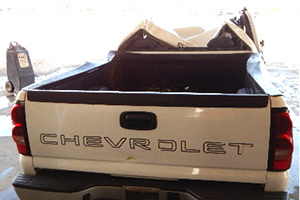 Defective door latches – Certain truck models have been known to have weak door latches, causing doors to pop open during rollovers, which may result in passengers being thrown from the vehicle. 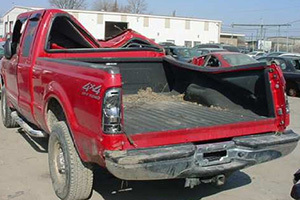 Design defects that lead to truck rollovers can be a serious concern for consumers. According to the Insurance Institute for Highway Safety, 45% of truck accident fatalities occur in truck rollovers. The Willis Law Firm is dedicated to helping victims of truck rollover accidents seek the compensation they need from negligent car manufacturers. If you or someone you love was hurt in a truck rollover accident, contact our offices at 800-883-9858 to discuss your case.